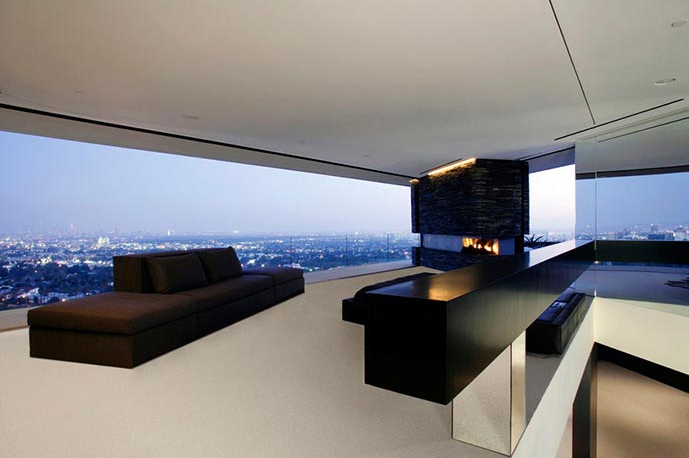 A beautifully executed house with a commanding view of Hollywood. 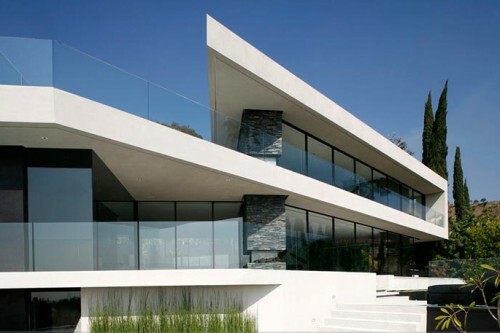 Designed by L.A. based firm XTEN Architecture. The husband and wife team Austin Kelly and Monika Haefelfinger once said Monika is rational while Austin is the opposite. It sounds like that the Yin and Yang balance makes the practice work. The horizontal folding form capture ones eyes and expresses itself as the main structure while the vertical elements are obviously secondary or even non-existent at times. 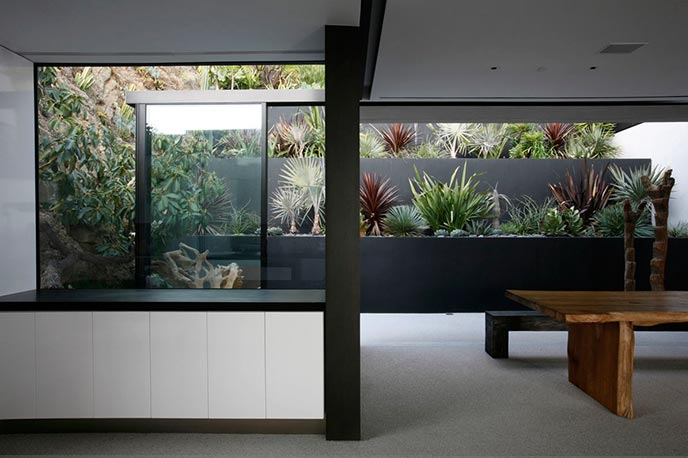 The sliding glass panels making up the majority of the walls disappear into carefully designed pockets. The indoor and outdoor forms a continous space with the smooth flow of flooring material out to the balcony, taking in the city skyline in its entirity. The interior is clean and minimalist with very few colours. You would not need any more colours when you have the blue sky, city lights and a well manicured green garden brought into your home every minute. I can see both the rational minimalist and the expressionist working in this design. I would absolutely love to own it (and rent it out to make a profit) or visit this place to appreciate the aesthetics but I cannot imagine myself living in it. Although I love minimalist designs, my domestic self is messy, I prefer things lying everywhere around me with easy access. I collect and showcase my books, my CDs, my decades of architecture magazines. I have bookcases on every imaginable vertical surfaces in my room. My dockets have to be on my table or I will lose them forever, etc etc. This house is designed for those who love orders and neatness. I might need some external force to balance me out before I can live in minimalist houses like this.